Locally produced food needs to be locally slaughtered. Locally produced food is very much sort after but farming in the UK has many challenges and with a number of farmers’ now full swing into the lambing season, it seems right to discusses how much more difficult their job has become. Local Abattoirs our fast disappearing the amount of red tape and costs involved simple put these businesses under so much pressure that they end up closing down. On one particular small Scottish island, there is now no abattoir at all. To the general public, this may not seem like much of a problem however when you have to take your animals much further to be slaughtered the cost then goes on to the farmers which in turn then goes on to the consumer along with a not so Eco-friendly footprint. Many of us now source locally produced food, but if our meat is doing a 50 mile or more round trip then that pretty much puts paid to the Local part of the deal. When entering a supermarket you run the gauntlet of is it free range or does it have the red tractor mark, but when we buy local produce we don’t necessarily expect it to have traveled any great distance at all. With abattoir numbers falling fast this is now becoming a real issue for farmers and consumers alike. In the 70;s we had 1,970 small abattoirs we are now down to just 63! There are different types of farming. For those people looking for locally produced and sourced food including their meat, they will be looking at going to a local farmer or farm shop. On-farm slaughter will be for the smaller producer not for the farmer who send off vasts amount of cattle or sheep for wholesale. Part and parcel of looking for locally produced food is animal welfare and traceability, its common sense to know that if an animal has less travelling to do and is calmer before their end of life, not only is their welfare more protected but less stress is occurred giving the consumer a much better product that not only tastes better but which they can feel good about in the knowledge of that animals life journey. A simpler system with less paperwork and a more productive business. oh, it sounds so easy. One way of doing this is by on-farm slaughter through a qualified and licensed mobile slaughterman. 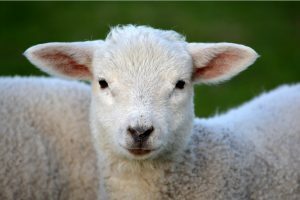 However at the present time as far as the HSA (Humane slaughter Association) http://hsa.org.uk are aware there are none operating within the UK. Small farmers and abattoirs still have to adhere to the same regulations as the large abattoirs and when back in the 90’s mobile abattoirs were tried they failed as they were not economically viable so never caught on. But all is not lost through the organisation like The Sustainable Food Trust and coordinated with land agent Paddy Hoare from Perdix Partnership who are supporting one farm in Gloucestershire in a pilot scheme for on-farm slaughter and are doing a survey on this issue. http://wwwsurveymonkey.co.uk/r/mobileabattoirconsumer So far this has been very well received from both the farmers and consumers. Not only will this help a more sustainable and Eco-friendly farming approach but for the very rural community’s could provide skilled workers, and lower the very sad fact that some slaughterhouse facilities are very much working below food welfare standers. 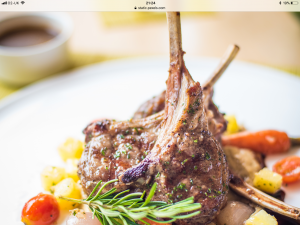 Of course, we want all have to become vegetarian or vegan overnight but let’s face it, there is a supermarket lamb chop then there is a Locally produced lamb chop!